HomebookshelfThe Transparent Society: Will Technology Force Us to Choose Between Privacy and Freedom? 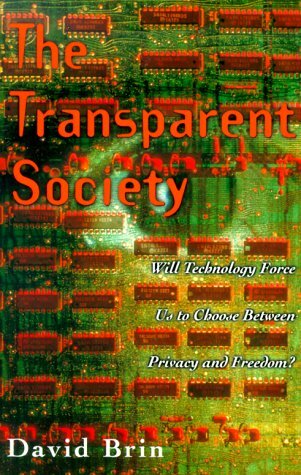 While addressing the technology-vs.-privacy debate, he offers an informed overview of the issues and a useful historical account of how current policies evolved. Also beneficial are his descriptions of the different viewpoints on encryption software, online anonymity, the Clipper Chip and techno-jargon. But when Brin opines on these topics, the book suffers from superficiality. He appends remarks to the end of each chapter as this: “When you’ve been invited to a really neat party, try to dance with the one who brought you.” His main point — that information and criticism should flow unrestricted — is lost in a melange of armchair social science theory and unrelated observations on the media, morality, identity and manners. After making a thoughtful case for discouraging encryption and encouraging free speech on the Web, he undercuts his position by calling for e-mail civility, “because people who lash out soon learn that it simply does not pay,” then states that a balance can be achieved between these two extremes. Despite a strong beginning, Brin’s book ultimately lacks clarity and originality.